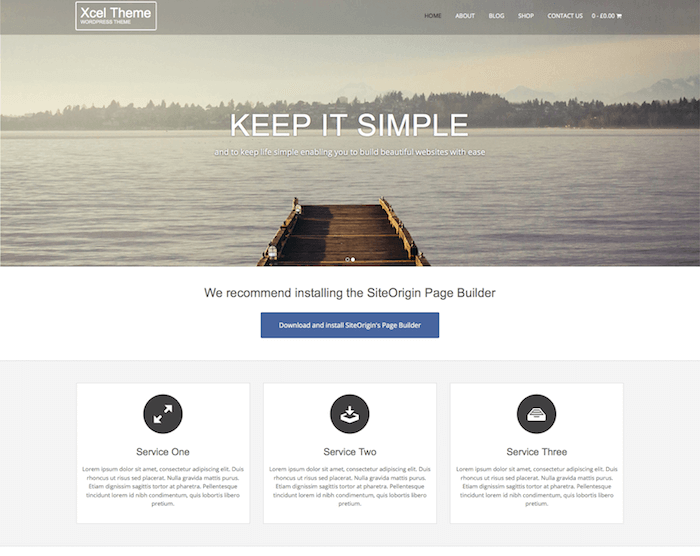 Xcel is a business WordPress theme based on a modern design layout. The theme is ideal for small businesses, individuals, online stores, and portfolio websites. The fully responsive feature makes it adaptable to all screen sizes. This theme is Woocommerce compatible and can be used to create a simple E-commerce store. 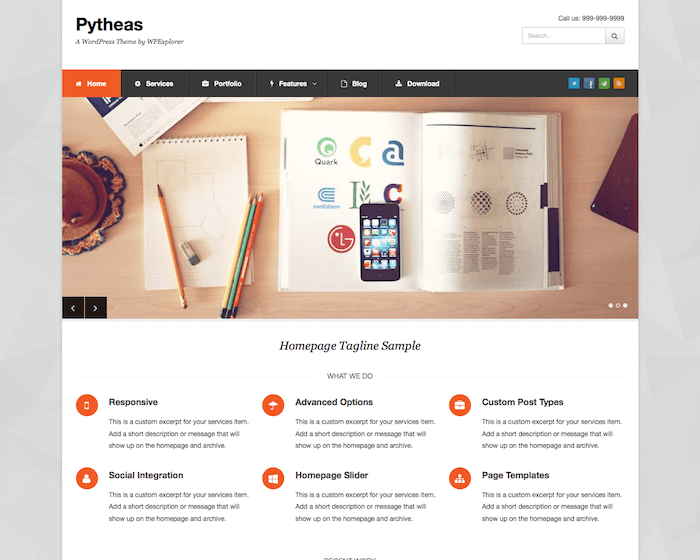 The theme features a rich customizer with several customization options, such as multiple header layouts, color schemes, footer layouts, blog designs, different page templates, and many more. In short, you can create your WordPress website within minutes and then customize it any way you want to suit your specific business needs. Xcel KairaWeb theme integrates a fully featured slider at the top of the homepage. The slider can be used to represent the latest and noticeable things about your business, offers, new launches, deals, etc. It is fully customizable with the help of the built-in WordPress customizer. The Xcel slider supports multiple content types, including text, images, links, etc. Extra slider settings can be enabled with the use of recommended plugins. The Xcel theme is fully responsive and can easily adapt to all platforms, browsers and screen sizes. It is crucial for a business website to be accessible to all standard media devices and Xcel does the task for you. You can use the Xcel theme to create anything from a personal blog to a business website and online store that works fine on all the platforms and devices. The homepage and store page display content in the grid format that can re-adapt itself automatically based on the screen size. With the help of the built-in WordPress Customizer, Xcel theme offers you a whole bunch of editing options in the theme settings of your website. You can easily edit your website to transform it the way you want. Some popular setting options include boxed and full width site layouts, different header layouts, five different footer layouts, slider settings, multiple header color themes, title bar settings, different blog layouts, social profiles, and much more. The Xcel WordPress theme also features a business blog with the option to display the latest posts on the website homepage.